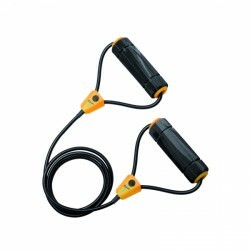 Train effectively your whole body muscles with the sturdy Nike Long-Length Resistance Band 2.0. The tube is of versatile use - do different exercises for back, arms, and legs at high or middle resistance. The ergonomically shaped foam handles provide comfort even for longer training sessions. Nike Women's Fundamental training gloves In stock! Nike Men's Fundamental training gloves In stock!